I have a sincere question for you: Did last night actually happen? There’s a non-zero percent chance that I died a stress-snacking related death sometime after the Atlanta Falcons took a 28-3 lead – also when I broke out the pan of brownies in search of comfort – and the second half & overtime were nothing but my brain’s last act of mercy. This seems improbable, but then again, the Patriots winning last night was impossible. There will be many things written today about how Super Bowl 51 came to be not only one of the (or the) greatest Super Bowls ever played, if not one of the best football games ever period. There is a lot to unpack from this game. Namely, the New England Patriots came back from a 25-point deficit to defeat the Atlanta Falcons, despite the fact that the Falcons were playing nearly perfect football until the second half, and the largest come from behind win in Super Bowl history was just 10 points. Tom Brady struggled through the early parts of the game, including a seemingly-game-deciding pick-six to Robert Alford on a pass that even my grandparents could read was going to be intercepted. Then there’s Julio Jones making two of the most incredible catches one could ever imagine, and that’s without including his catch over the middle that Logan Ryan could not have dislodged from Julio’s hands with the help of a hacksaw. 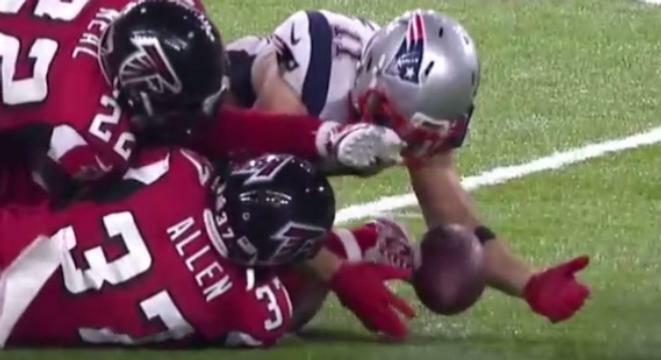 Only Julian Edelman somehow one-upped those grabs with the best Super Bowl catch since David Tyree and Santonio Holmes on a play in which he apparently gained the ability to use The Force to keep the ball off the ground. During the third quarter, the Atlanta Falcons had a 99.7% chance of victory according to ESPN. I’d have put the mark somewhere around 200% myself, going as far as to utter “The Patriots basically need a miracle” aloud while digging into another brownie. It’s decently difficult to argue against last night’s victory being anything but, save for those that want to blame Atlanta for sputtering to a halt in the second half. Again, I’m not entirely certain that last night was real, but when I awoke this morning it was certainly possible. The New England Patriots are (fairly understandably) one of the most despised teams in sports of all time, and while I count myself as a long time supporter and a card-carrying member of the “Tom Brady is the Greatest Of All Time” fan club, the animosity towards the team makes sense given the baggage around it. I choose not to focus on the negatives today, because the aftermath of the overtime victory was astounding. 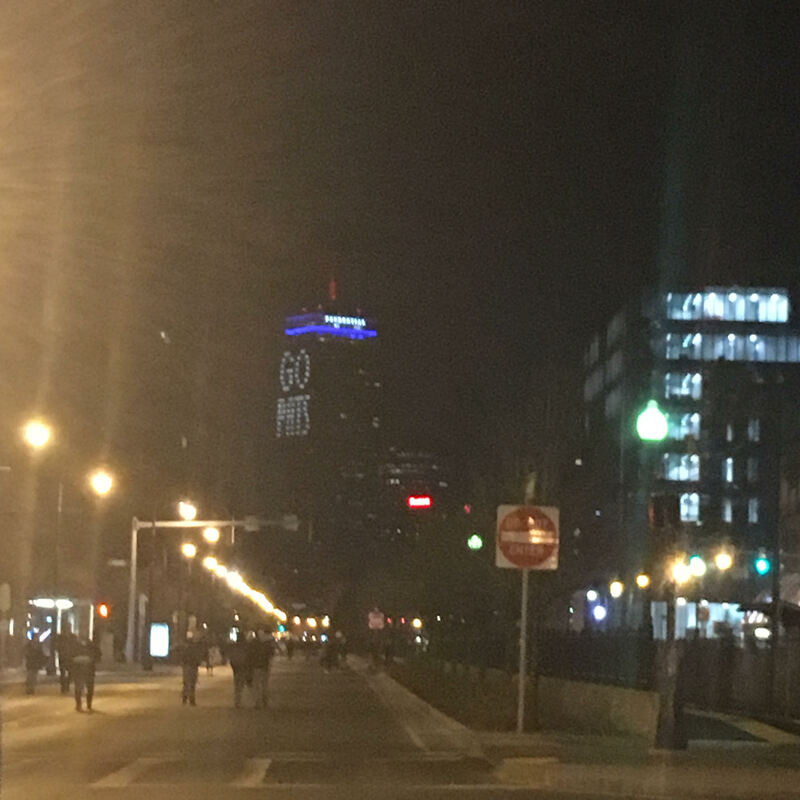 Following the victory, I walked in the middle of the closed Commonwealth Ave. here in Boston, giving high fives and smiling for nearly a mile. Laura LaBrecque and I were as stunned as those around us, but likely just as excited. 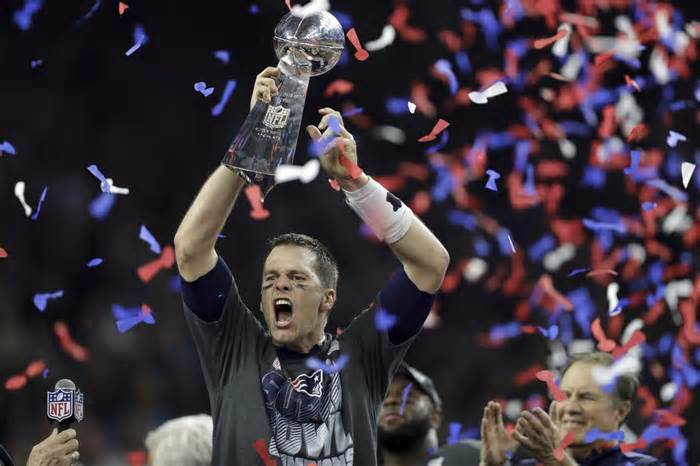 Even in the eyes of the most ardent Patriots detractors, last night’s game was a testament to greatness. The factors in play for the Patriots to somehow win Super Bowl 51 were impossible, and that’s putting it kindly. Perhaps the most incredible part of the victory for the Patriots was just how unassailable it was. It’s tough to argue with a team somehow rising from the dead to have perhaps the best half of play in any semblance of memory. I’ll be selfish for a few minutes in cherishing this championship for my adoptive home of Boston – especially selfish when considering that I’ve been in Boston for two Super Bowl victories and a World Series, while the rest of my friend group from high school can claim the Pittsburgh Penguins Stanley Cup and Penn State Big Ten Championship in totality. After the last few months watching friends and classmates walking around campus in a perpetual state of despair and disappointment, seeing many of those same students in celebration last night was a much needed moment. A moment of joy in turbulent times. The celebration and unbridled joy might not last for very long – onto the task at hand, a Boston University-Boston College matchup in the Beanpot which begins at 8 this evening – but I’m sure as hell going to cherish last night as one of the best nights I’ll have at Boston University and further confirmation that I made the best decision of my life to become a Terrier.